If you’re looking to take your consultancy practice to the next level, or even start from scratch, then this kit is perfect for you. It includes all the fundamental tools and training to begin a profitable advisory engagement with clients. From sample client proposals, to video seminars from industry leading experts and software to help structure and automate the initial client engagement. 100+ templates, tools, and resources. All this for just $1,499 … Save $1,000! Less than 10% of strategies are successfully executed in the average business. The Strategic Planning Pack provides you with all the tools to writing and implementing a business plan. Use MAUS MasterPlan to effortlessly create your plan. Then use MAUS KPI Dashboard to keep your clients accountable while you focus on applying new strategies, goals and targets. Bonus MAUS Project & Milestone Manager. All this for just $299 p/m…save thousands! All this for just $299 p/m …save thousands! It’s a complete HR package designed to provide you with a comprehensive set of tools to establish a streamlined approach to performance management. 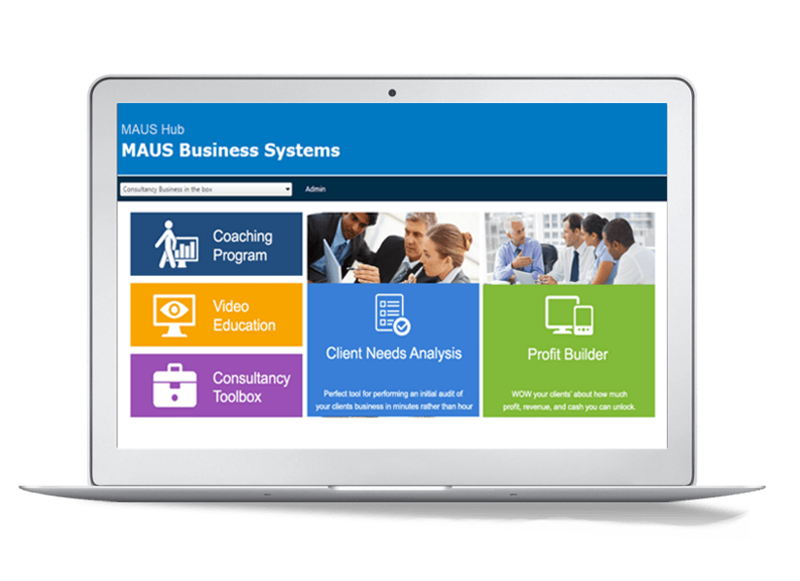 If you need tools to help you create client systems (for a tender, an accreditation, or to quickly put something in place to comply with legal requirements), the best package for you is MAUS. The package includes a License that gives you the Copyrights to Legally use the software as a Consultant and on-sell the IP. Create unlimited systems for unlimited clients! All this for just $3,999…save thousands! Not available with 10% discount coupon code. Want to take advantage of our 7 day free trial? Simply fill in the form below.